Residential and office facility on Mayorova, 7 is located in the quickly developing Obolon district of Kiev. The project is successfully completed by “Reality” and is currently being moved into. “Reality” is finalizing the sales of residential and office areas offering the option of credit purchase with 0% interest. Sales office is located directly inside the facility. 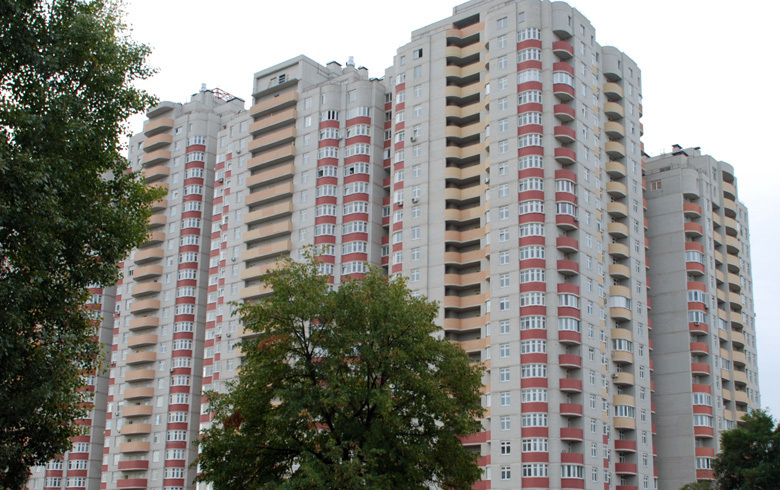 The style of the residential and office complex in Mayorova, 5a can be summarized as “Obolon downtown”. The key features are expressive configuration of elements, smoothness of the lines and form harmony of the whole ensemble. All together, these create a finalized and well recognizable image. 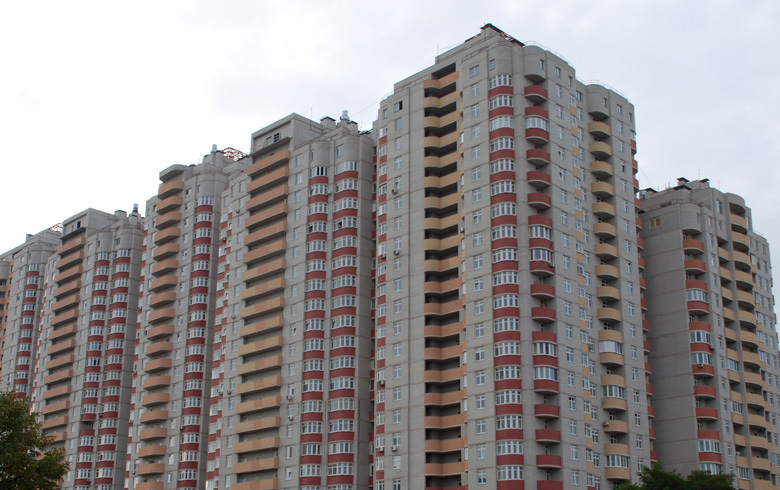 Such features as modern design, effective area planning and a successful fit into the surrounding environment are continuing the recent tradition of forming a new appearance of Obolon district. 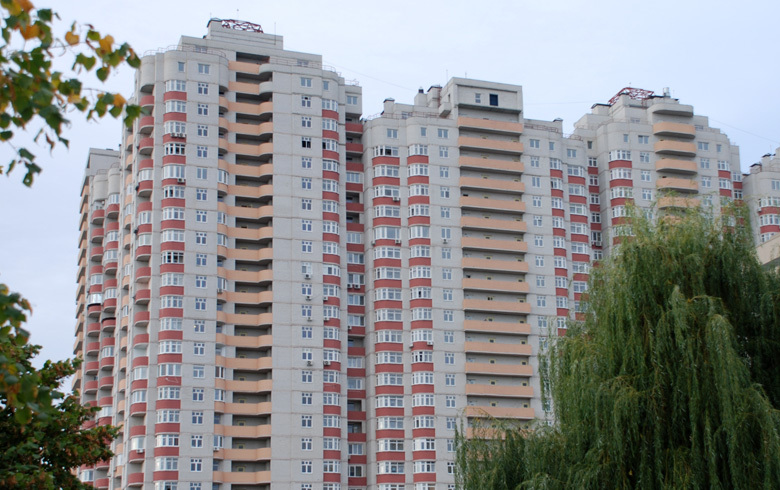 The complex in Mayorova is located in Obolon district of Kiev. The nearest trade centers “Caravan” and “Dream Town” can be reached within a few minutes from there. The subway station “Minska” is also near (15 minutes away) as well as transport interchange “Shevchenko Square”. In the neighborhood there is a kindergarten, a school, a clinic, and a market. One may also take a walk to Puscha-Voditsa or to Ministerskoye lake. The complex consists of seven sections each having its own number of storeys (ranging from 18 to 25). The first two floors of each section are planned as non-residential areas, such as a consultancy clinic, a pharmacy, several shops, offices etc. Apartments start from the 3rd floor. The special feature of our project is the availability of small area studio apartments. These are popular among young people with active lifestyle, for people not willing to pay for extra square meters, and for young families that are moving apart from their parents. 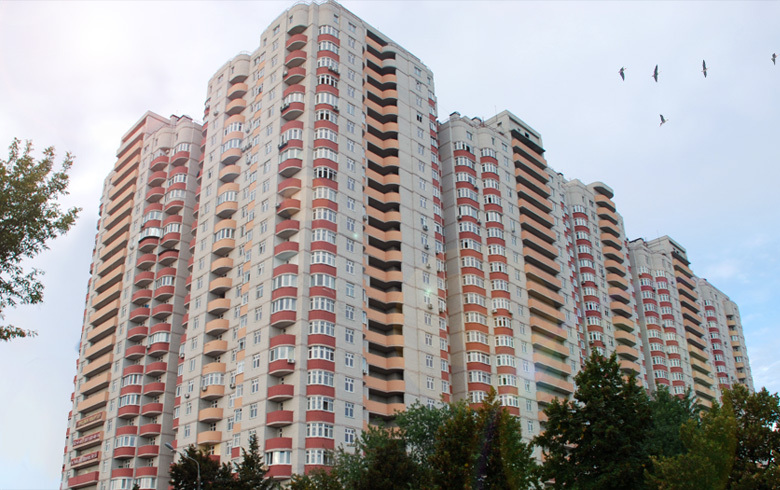 In our residential complex there is a whole section of such small-area apartments which is new to estate market of Kiev. We’ve also paid special attention to planning and layout of the popular two-room apartments. One-room from 37 to 54 sq. m.
Two-room from 72 to 74 sq. m.
Three-room from 82 to 101 sq. m.
parking lot for 309 cars.